Beautiful tones & textures, love those deep rich shadows. The bg really gives an artistic feel to the shot! Excellent comp on this example of light shadows. 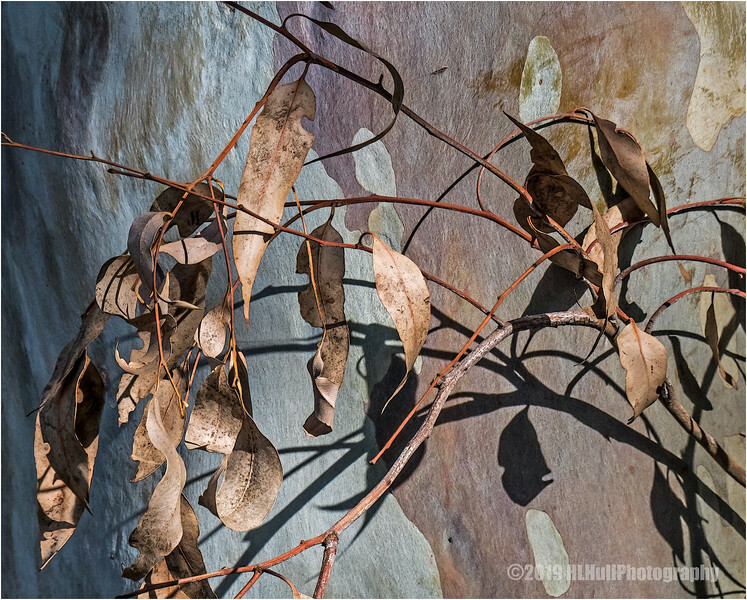 Fun to see the dried eucalyptus leaves with their shadows, against the eucalyptus bark on the tree trunk. Nice comp, colours and textures. Interesting photo with a great textured background.